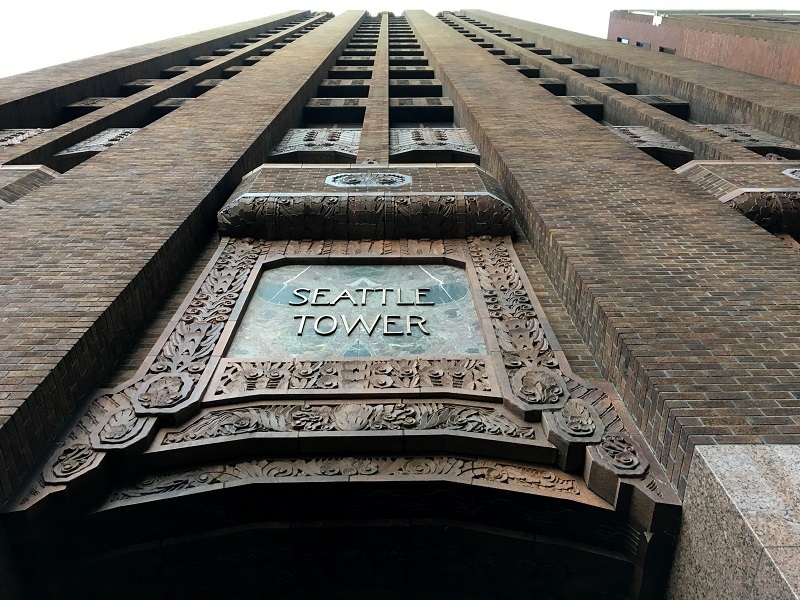 I guess Seattle has many gleaming glass and steel towers nowadays, but the Seattle Tower is one of the city’s original art deco gems. Its construction was completed in 1929, and at the time it was called the Northern Life Building. I just took a quick picture this afternoon, but looking at online pictures, I see I made the mistake of not going into the Tower’s lobby. Architect A.H. Albertson’s art deco design is featured inside and out, and the warm brown brickface of the Tower had held up well against the ravages of time. 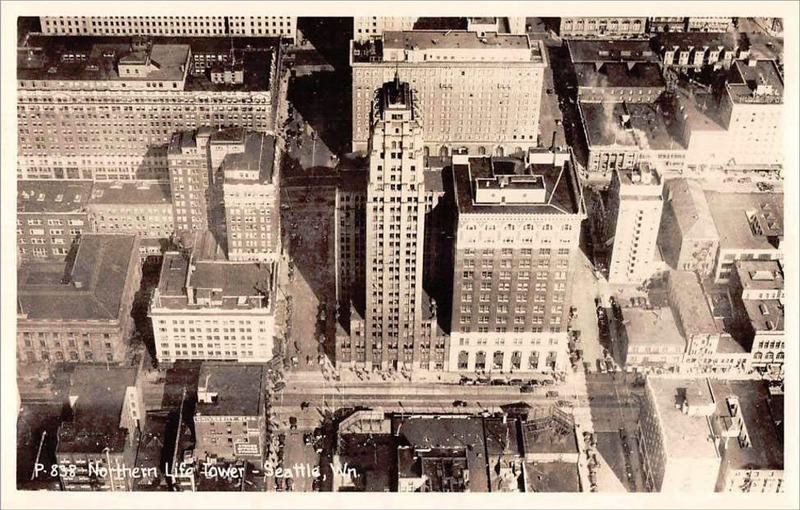 Here is the Northern Life Tower (Seattle Tower), featured on an antique postcard, possibly from the 1930s or 1940s (no date was given for it). It tapers to the top in a pyramid, in progressively lighter shades of brown bricks. 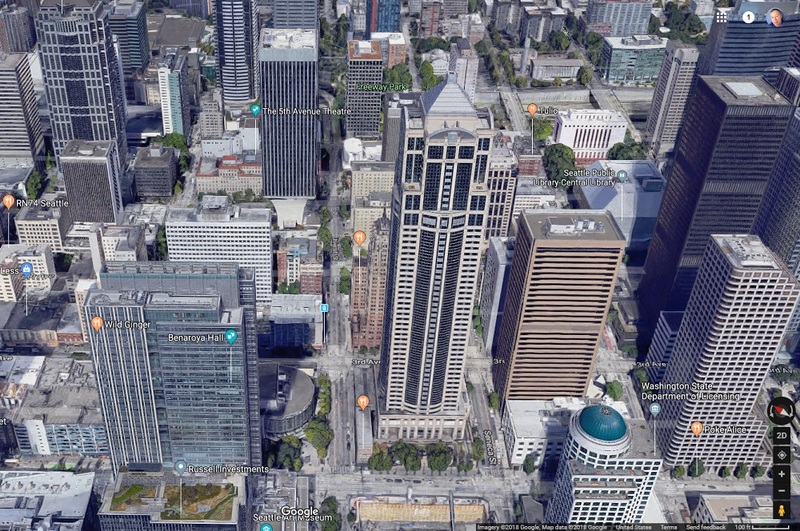 And here is today: Google Streetview with the Seattle Tower (completed 1929, 27 storeys) in the middle, at the southeast corner of 3rd Ave. and University St. That’s the US Bank Centre building (completed 1989) in front of it, itself only the 8th tallest in the city at 44 storeys.